Your First Day of School Lesson Plans! As promised, I’m back today with a few lessons and activities to help you get through the first days of school. 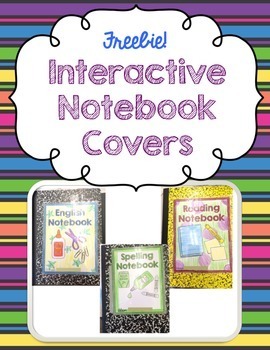 First thing’s first – don’t forget to download and run off these Interactive Notebook Covers. 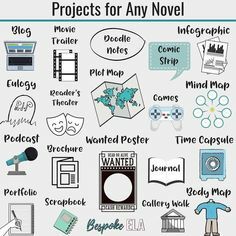 I’ve included several different ELA titles you might use for your notebooks, but let me know if you need something else that isn’t included here. And when it’s time to set up those interactive notebooks, you can refer back to this blog post from last August about how I had my students set up their notebooks. Now.. When it comes to the first day of school, I’ve mentioned before that I think it’s VERY important to teach a real actual LESSON that day. Teaching something purposeful and important and academic is so important that first day because it sets the tone for the rest of the year. It tells your students that they are here to learn and in your class they are going to be productive and not waste time. It also will give them a nice glimpse into how you teach and the kinds of things they’ll be learning this year and that’s WAY better than just TELLING them what you teach and the kinds of things they’ll be learning this year, right?! I’m giving you two options below, depending on your needs and the time you’ve got on that first day. If you’re looking for a full-blown lesson with-story-and-all, I’ve got you covered. And, if you’re looking for a 20-minute-quickie, I’ve got ya covered in that department as well! The best part of this quickie is that there’s enough substance here so that you can make it last longer if you want or definitely carry it over to the next day’s lesson. I chose a topic that is important and can easily be explained/reviewed in just a few short minutes: Denotation vs. Connotation. Start by showing this AWESOME Flocabulary video on Word Choice. If you don’t have a Flocabulary subscription, I promise it’s worth the 45 seconds it takes to sign up for a 14-day free trial, even if you only ever use it for this lesson. And just to get your 45 seconds worth, be sure to download the Activity, Quiz, and Answer Keys in the sidebar on the right because they are EXCELLENT! Of course you know I have an interactive notebook activity for this topic that can be done the first day or later. I like to do it on the first day even though our interactive notebooks aren’t set up yet (see link near top of page). All you have to do is have students use a regular sheet of looseleaf paper. Cut off the gutters at the top of the page before the lines start AND on the left side of the red line, cutting the holes off. 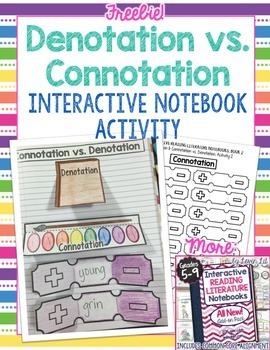 Now, your students can glue their interactive notebook activity on this sheet of loose leaf paper and you can come back and glue it as your first “real” page in the interactive notebook when you set it up! 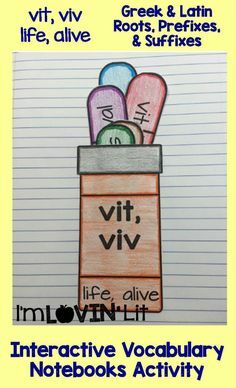 The beauty of this is that you can just have students do the 2 definition tabs for today and come back and do the connotation tickets later if this is a quickie. Now they’ve defined the words and learned a little bit about word choice and connotation and denotation. And if you still need a little something extra for teaching this concept, I found a great pair of worksheets for FREE on Teachers Pay Teachers. Download them here from Deanna Cross! OH, and of course, here’s a link to the FREE interactive notebook lesson. It’s a freebie excerpt from my ALL NEW Interactive Reading Literature Notebooks Volume 2. We do not require students to read anything over the summer… 🙁 I teach 6th grade and need some new ideas for the first thing we read… and go! I plan on starting the year with textual evidence and reading aloud Wonder. This got me thinking, and after flipping through the rolodex of short stories I’ve got in my head, I decided that “Charles” by Shirley Jackson would be the JUST RIGHT story for students to enjoy on (or close to) the first day of school. This short story can be downloaded FREE from the Library of America here. Print these 2 to a page for the right size print. If you’ve never read “Charles,” it’s super short, so kick back and enjoy the quick read. I love stories with a little bit of humor and a twist at the end, and this fits the bill. You might read this aloud with students or have them read in pairs. As a follow-up, I created this little activity on finding text evidence. There’s just one basic question for which the students will need to find three examples of text evidence and explain each one. A sample answer is included right on the worksheet so that students can work independently if you so choose. Be careful! Don’t give students this activity or discuss the question/task before the story is read or you’ll give away the fun ending. This is an excellent activity to use as a sort of pre-test to gauge how well your students are able to find text evidence as well as articulate that to you. Plus, it’s an interesting story and just one little question/task so you aren’t overwhelming them with a daunting task straight out of the shoot. Of course (you know me by now, don’t you?! ), I’ve included an answer key with this little activity so that you don’t have to do that extra bit of prep work in advance because I KNOW you’ve got enough goin’ on just trying to start a school year! And just in case you’d like a more official assessment, I found this multiple choice quiz along with other activities in an assessment sample from EMC Publishing. It is my PLAN to try to bring you at least one fun lesson or activity like these EVERY WEEK on my blog so if you aren’t already be sure to follow me on Bloglovin’, and for good measure, sign up to receive email alerts when I post new content like this. Since I have one class of "second chance" students, I'm always looking for new ideas. Thanks for Charles! I'll certainly add it to our list! 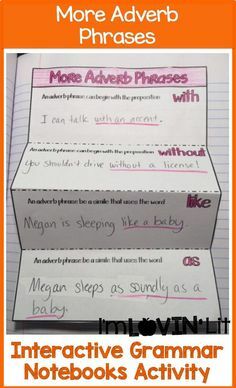 I love "Charles" and use it every year during the week of Parent-Teacher Conferences. 😉 Thanks so much for the supplementary materials–I will definitely put them to good use! I also use Jackson's "The Lottery" as a read aloud around Halloween time, and then we compare and contrast her two short stories. Thanks so much for all your great ideas, Erin. You make my job so much easier–and enjoyable! I won't give the story away, but it is hard to believe the same author wrote both stories! After we read "The Lottery," I have my 8th graders discuss whether or not they think Suzanne Collins was influenced by it when she wrote The Hunger Games. Thanks so much for sharing! I love everything you do, and I'm a huge fan of your work! You are simply awesome! My lesson plans for this next year have your name all over them! Thank you for all you do and share! I was looking at your covers and wondering if you had success with two notebooks last year. I was thinking of one for reading (lit. and info. text), one for our language work (vocab. and grammar), but am not sure about writing. Where do you do have them keep their IWN work? 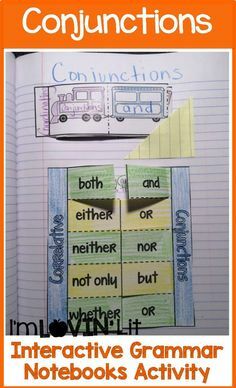 Do you combine with grammar? Thank you! Yep! That's how I did them. I included writing as a part of the grammar and spelling notebook – I actually lumped writing and grammar since spelling was technically the BACK of the writing/grammar notebook. And when I say spelling, it was really actually vocabulary – but my school calls it spelling. Anyway, I like how it worked and my students are often confused when they learn concepts as to whether or not they're considered reading or English (writing/grammar/spelling) so it actually helps with that, too! Every now and then, someone would put something in the wrong notebook. Then, we would just tear out the page and glue it into the right notebook! Once again Erin, I'm incredibly grateful for your time, efforts and ingenuity. I was just telling my hubby this morning (as he was telling me too) "I'm feeling overwhelmed again!" His patent response…"every year honey…yep it's about that time in August, every year!" Thank you so, so much! You make teaching easy and fun again. Have a great year. I look forward to seeing and using your new products. Thank you, Erin. I had forgotten about Charles- I know my daughter will love it! 🙂 Good luck with your new school year, too. Thank you for making those first couple of days a little easier! "Charles" is in our text, and this will be a great piece to start out the year before we dive into "The Outsiders." I never connected that Shirley Jackson wrote both "Charles" and "The Lottery"! Now I want to do both! I am thinking about doing a Citing Evidence Unit as the first mini-unit of the year instead of the same ol' thing that i do every year. Since we spend most of the year finding evidence anyway, why not begin with it. 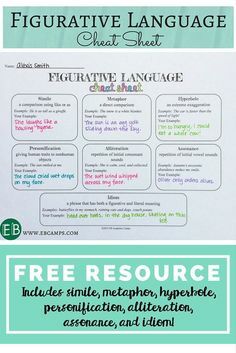 I was also thinking that as a follow up activity, you could do HOW to cite evidence because inevitably I will get fragments as responses to those blocks on your freebie. I'm excited to try it though! Thank you so much for these wonderful resources, Erin. I want to do something with more substance this year to start off with my 7th graders. They get a bit squirrely with all of the ice-breakers and getting to know you activities. I'd like to use the first three days (Wednesday-Friday of this week) to set my expectations for our class rotations, as I intend to utilize learning centers and small group instruction as much as possible. I am sincerely looking forward to giving this a try. Looking forward to using these interactive notebooks. I've used several things similar to these items in the past, but am excited to have it all in one place. However, I am unable to download the grammar interactive notebook that I purchased this afternoon. It is giving me an error message. How will I be able to use the purchase if I cannot download it? Wow! Amazing!! Thank you!!! I'll be sure to subscribe as I'm doing notebooking for the first time this year and your advice is sooo precious!! I'm signing up now! Thank you for the Charles story and worksheet! I was going to look in my literature textbook for a story to use for inference with my 6th graders, but when I found this I knew this was more fun. Now my first week is planned seamlessly! Thanks so much for this freebie. 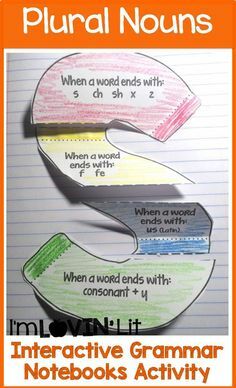 I used this with my class, and they loved it.